Feliu Maseras obtained his doctoral degree in Chemistry at the Universitat Autònoma de Barcelona (UAB) in 1991. He had a two-year postdoctoral stay sponsored by a European Union fellowship with Keiji Morokuma at the Institute for Molecular Science (Japan), and aftwerwards he worked two years as Research Associate (temporary chargé de recherche) with Odile Eisenstein in Montpellier (France). He has also made several stays as Emerson Center Visiting Fellow at the Emory University (Atlanta, United States). He obtained a tenured position as Associate Professor at the UAB in 1998, where he worked with Agustí Lledós. He has ocuppied this position at UAB until his moving to ICIQ in 2004 as group leader. Author of nearly two hundred publications in scientific journals, his articles have been cited more than 2,000 times in the last 10 years. He received in 2000 the Distinció per a la Promoció de la Recerca Universitària (categoria jove) (Distinction for the Promotion of University Research, junior category) granted by the Catalan regional government. He got an RSEQ Award (Real Sociedad Española de Química) in 2011 for his work in the field of Physical Chemistry. Coeditor of the book Computational Modeling of Homogeneous Catalysis, published by Kluwer in 2002. 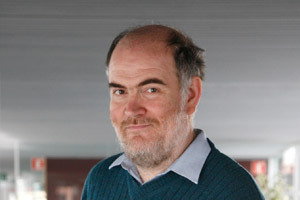 His research has focused in the design and application of the quantum mechanics / molecular mechanics (QM/MM) methods to problems of practical interest, and the computational study of molecular systems containing transition metal atoms.